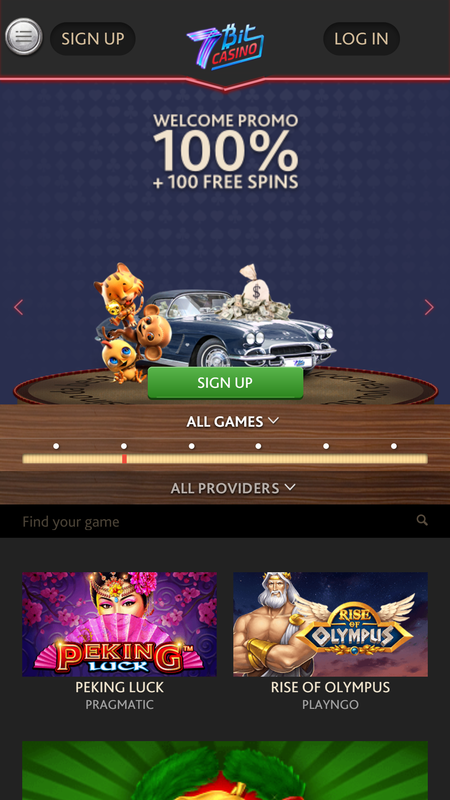 7BitCasino app is an attractive app designed for the US and Europe. The app is powered by SoftSwiss which allows them access to multiple major game suppliers. It supports Windows Phone, Android and iOS. 7Bit Casino mobile casino app is available all around Europe and the United states of America. It was established in 2014 and does not require any downloads. For the easy access of larger communities, the application operates in English, Finnish, Swedish, Greek, Russian and Turkish and accepts any deposits in EUR or USD. Even though some features are restricted to some countries anyone can access the majority of the games. The 7Bit Casino App is operated by Nabelse Holdings Limited, in Cyprus and is fully licensed and owned by SoftSwiss N.V. in Curaçao. Online gambling is regulated in Curacao, Netherlands Antilles. 7Bit Casino is operated by Softswiss N.V, powering the mobile application to swiftly and safely run without any hassle. To ensure complete privacy for customer data 7Bit casino is bounded with strict security standards. The dark shaded screen with bright characters attracts the attention. The swiftly moving tabs and easy game selection stands out when compared to other apps. The quick registration procedures are the main reasons to be attracted to the app. The offers and promotions are illustrated in an effective manner. 7Bit Casino app is designed for markets of all youngsters. 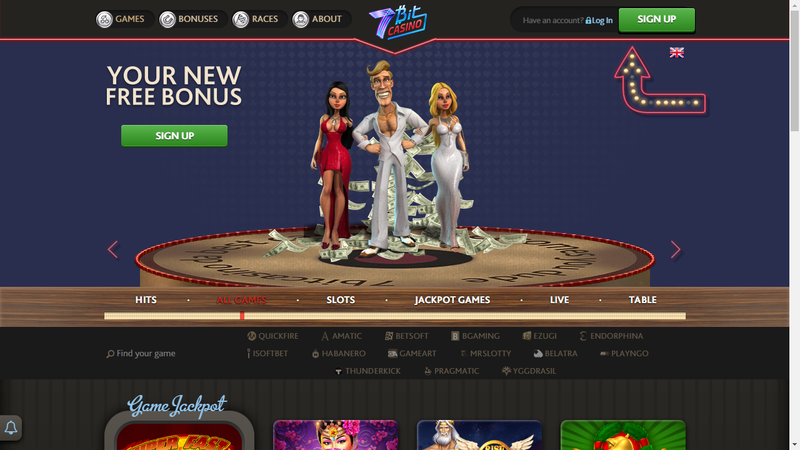 7Bit Casino offers a variety of casino classics. Both Roulette and Blackjack as well as Pai Gow Poker, are available along with divergent trends in games such as Brave Viking, West town, Lucky blue etc. extending to 60+ gaming options. The available games match any taste and requirement: roulette, baccarat, poker, live dealer, table, blackjack and certainly plenty of different slots. Live support is attentive with quick and polite responses 24 hours a day, seven days a week. Support may also be contacted through email, and responses are quickly received. There is also a FAQ with plenty of questions and answers to assist new players in getting their account set up and to start playing games for real money. As 7bit casino accepts a number of payment types, a more comprehensive cashier registration is required, even for those who would like to use bitcoin. However, compared to other casinos, the information needed is relatively little: address, telephone and name gets it done. The minimum deposit and withdrawal through credit card is 10$ and 20$ respectively. The maximum is 4000$ for both cases. 7bit casino does not take any deposit or withdrawal fees from its players; however, fees will be accrued on the player side depending on the payment method. All new players get to claim a generous welcome bonus on the first three deposits made into the casino. Besides the initial welcome bonus, 7Bit Casino help all players get the week off to a great start by offering a 50% bonus that you can take advantage of on Mondays and Tuesdays. As part of the Loyalty Program, you’re always rewarded for your play, and will receive weekly bonuses to extend your play time. Latest offers will be mailed and can also be found in the offers menu. Just as the attractive dark shaded design, the plethora of games is also exciting. With the 7Bit Casino App you will get to play your favourite casino games. Games are sourced from multiple online casino gaming providers, so there is a wide variety of games for real money, providing endless hours of entertainment. Noticeably new games are added at regular intervals adding up to the excitement every time you open the app.